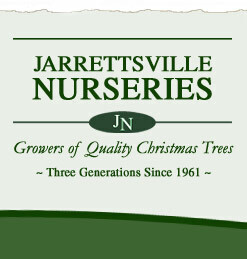 Jarrettsville Nurseries offers a huge selection of home-grown, home-made undecorated or decorated wreaths in an assortment of colors and sizes. Visit our Christmas Barn for wreaths, window swags, garland, and more! We offer home-grown, home-made undecorated or decorated wreaths in an assortment of tree varieties and sizes (20", 24", 30", 45", and 60") at both of our locations. Prices start at $20 for undecorated wreaths.